The Viña Cobos partnership was formed, after the French Oenologist Luis Barraud visited California and met with Paul Hobbs in 1997. 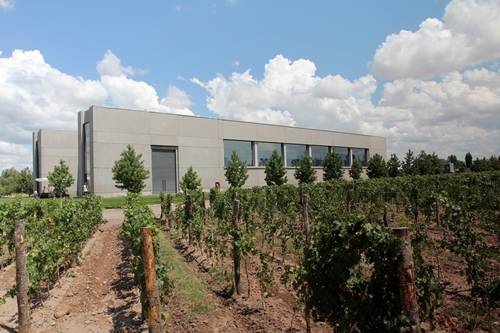 Luis’ wife Andrea Marchiori and her family owns some of the finest vineyards in the Perdriel district of Mendoza and Hobbs was quickly persuaded to form a joint venture with the two. The Marchiori Vineyards were the main foundation for the Viña Cobos partnership. 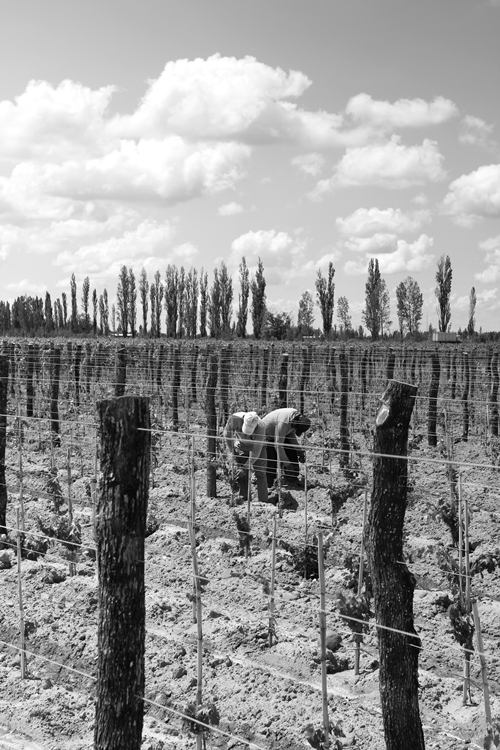 Andrea’s family have owned and tended the vineyards for more than 40 years and they include old Malbec vines with an age exceeding 80 years. The Marchiori vineyards are positioned just across the road from their new winery in Perdriel, Mendoza, and less than 3 miles from Bodega Catena, who Paul Hobbs originally consulted in their change towards fine wine. 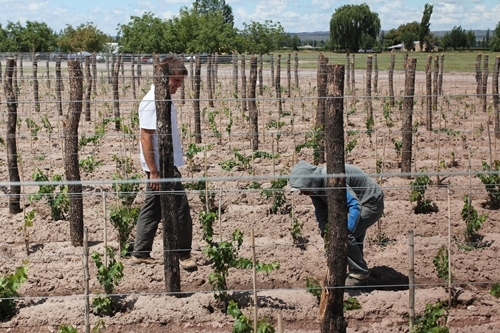 The Viña Cobos Winery was constructed in 2006, and the new surrounding vineyard has just been planted. 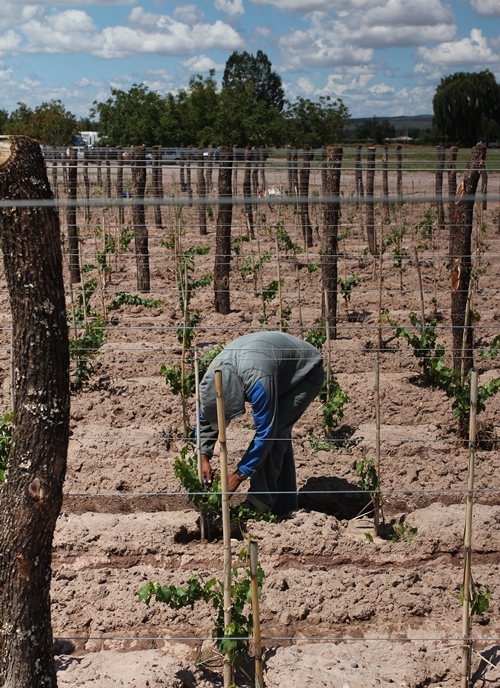 Here a worker is cutting vines, to ensure they grow as desired. Vineyard management is very important for the team. Hobbs has in fact been quoted several times for saying that “if he had it his way, he would spend all his time in vineyards”. The team work closely with their growers and carefully train the workers. The name Cobos is also the name of the local owls that live in the area. The owls play a significant role in the maintenance of their vineyards as they are one of the natural predators to the pests that often challenge winegrowers. 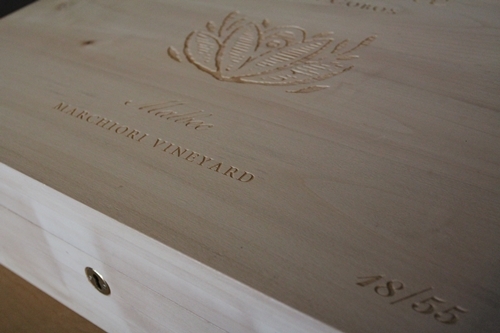 Hobbs’ interest in viticulture has resulted in the meticulous and attentive care, which their vineyards benefit from. The slight incline of the land is here captured. The winery and its surrounding vineyard are positioned on the eastern plains of the Andes Mountains, at altitudes ranging between 1,018 and 1,035 metres. Viña Cobos is here pictured from south. 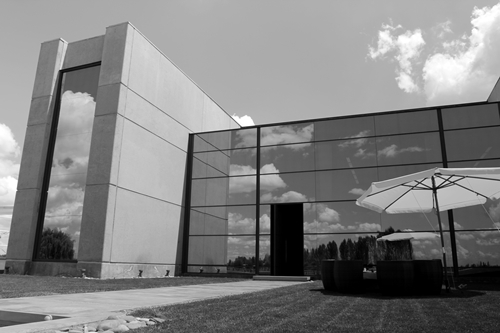 The winery sits in some spectacular architecture, and its glass surfaces reflect the encircling environment – like great wines reflect their terroir. Paul Hobbs is one of the world’s most successful winemakers. He is among the few who have produced a 100 point Parker wine, and his many consultancies have moreover made him highly regarded across diverse wine regions and countries. 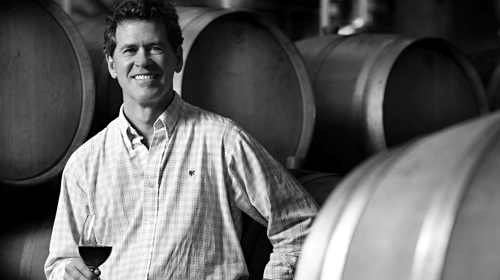 Hobbs started his career at Robert Mondavi, after his studies at UC Davis, where from he became part of the winemaking team at Opus One, which he led for several vintages. It was though during his time at Simi Winery that he was first introduced to Argentinian Wine and its potential. This was when he was brought on as a consultant for Nicolas Catena to produce a world-class Chardonnay. Hobbs has since his initial days at Bodega Catena, had a real love for Argentina and its people. He actually married a young woman from Mendoza, which he has his daughter Agustina with (who seems to be heading towards winemaking herself). A big portion of his consultancies have also been for Argentine producers, which count more than 14 wineries in Argentina. They are predominately based in the Mendoza Providence, but he has also consulted wineries in Salta, La Pampa and Patagonia. Here a look into the Cuverie at Viña Cobos. 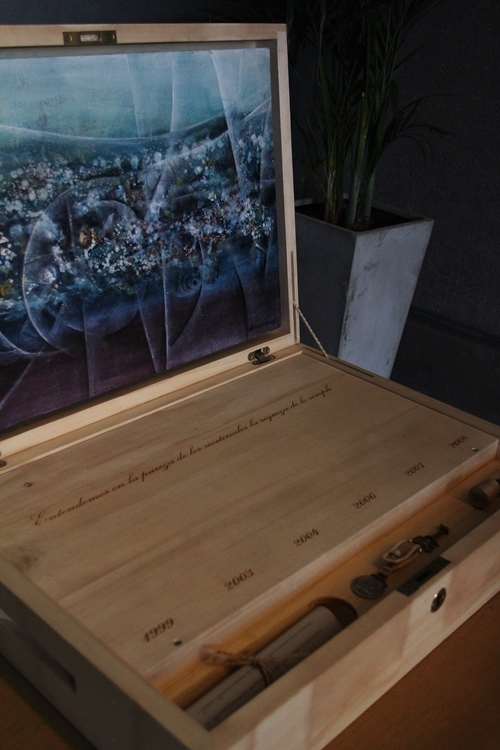 No one can question Hobb’s significance to the fine wine production in Argentina (and especially in Mendoza). Paul Hobbs is mentioned as one of the most influential characters in the industry by Laura Catena. He has not only secured some of the highest ratings and scores for Viña Cobos and the wineries he has consulted. 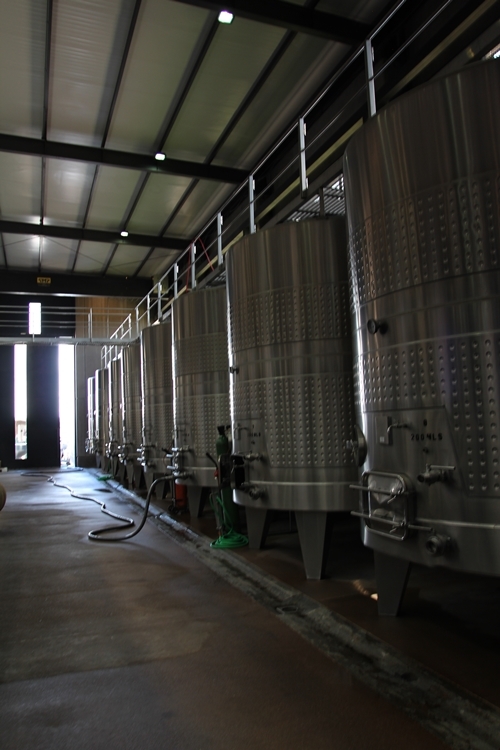 In fact he has affected both vineyard management (from trellising to irrigation), winemaking and something as simple as keeping their production facilities sterilized and clean, all in his quest for quality. He has furthermore motivated and formed several well-known winemakers. And Hobbs actually helped one of the world’s most prominent winemakers (Andy Erickson) into the business in Napa, when he met Andy in Mendoza during the early 90s. They have come a long way since they, cash-strapped, were forced to produce their maiden vintage using a rented garage in 1999. Bottling the wines are though still done using a rented facility, both because of their small size and foremost due to their focus on quality. 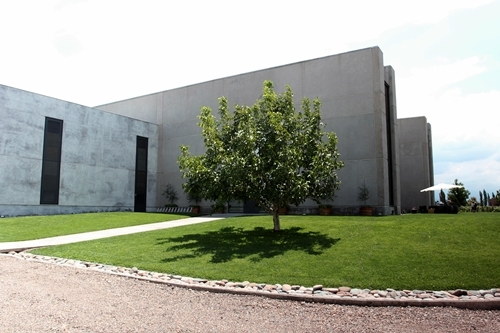 The state of the art facilities was both constructed to house the best possible production, offices, and a tasting room. 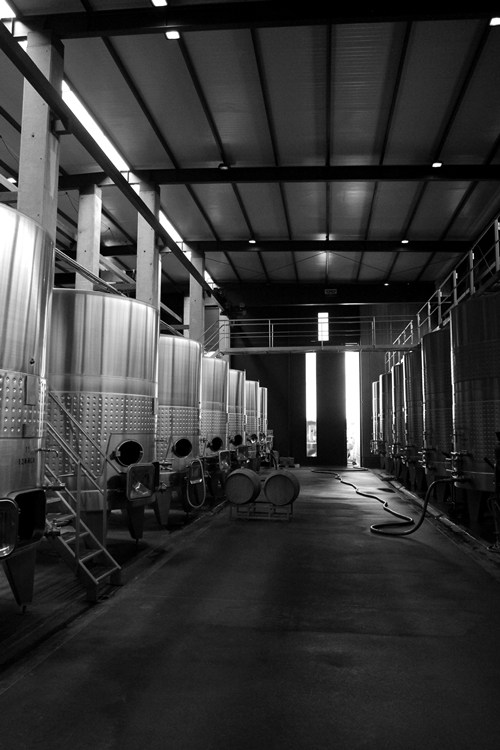 Here they are emptying and cleaning their stunning fermentation tanks to get ready for harvest. Hobbs is also known for his focus on barrel ageing and his use of both American and French Oak. Here some newly delivered Bordeaux barrels from the Taransaud Cooperage. 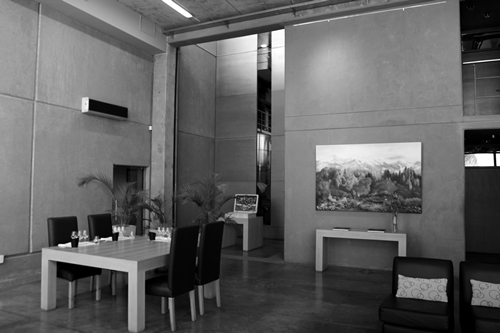 Their tasting room is furnished with the aim of creating a comfortable milieu and atmosphere for the tastings. 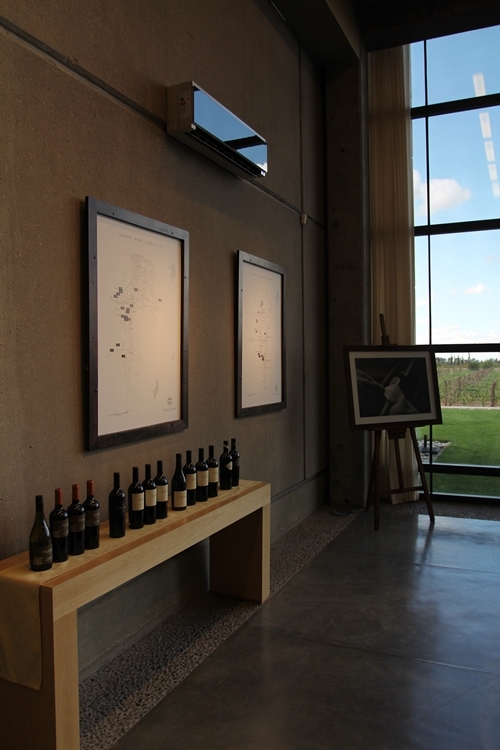 One of the walls in their tasting room is also decorated with two maps of their vineyard-sites. The partners have since their initial success with the Marchiori Vineyard, been looking for additional vineyard sites and growers. 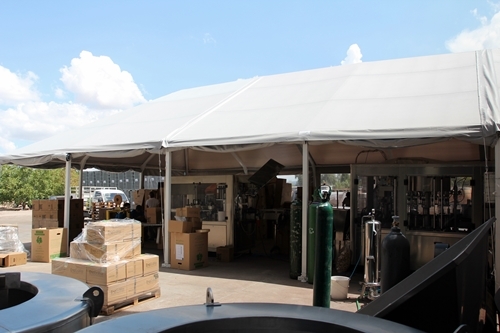 They now have contracts with growers in most of the sub-regions in the Mendoza Providence, including several sites in the high-altitudes of the Uco Valley and further south in San Carlos. 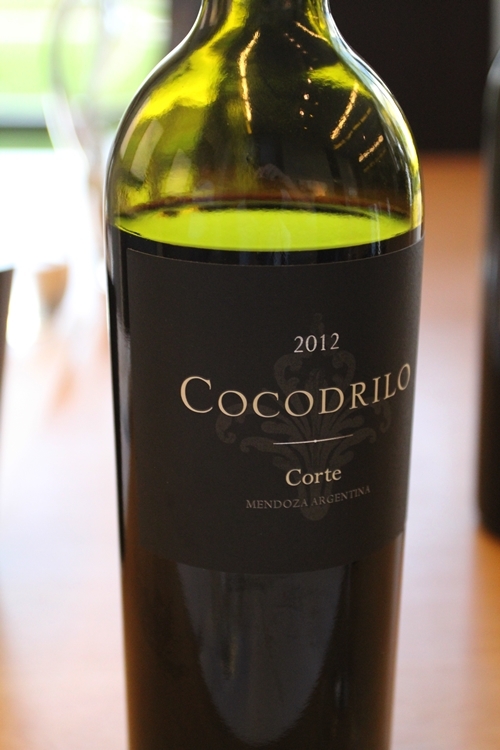 Some of the newer additions count releases such as the 2012 Cocodrilo corte. It was though one of the few in their portfolio that I did not find convincing . It is a limited release of 1,200 bottles, blended of 89% Cabernet Sauvignon and 11% Malbec, which spent 14 months on new American oak. Felino, is their “femine” entry-level range, and holds four varietal releases. 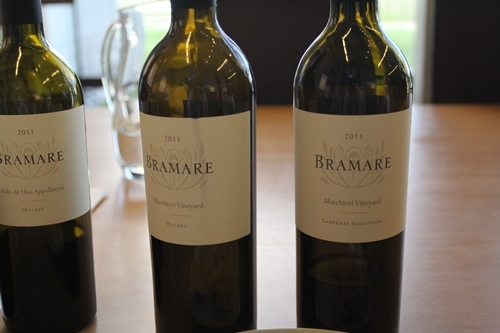 Bramare, is Italian for “to yearn for”, and the range holds both Appellation and Vineyard Designated wines showcasing Malbec, Cabernet Sauvignon and Chardonnay from the different terroirs in the Mendoza Providence. 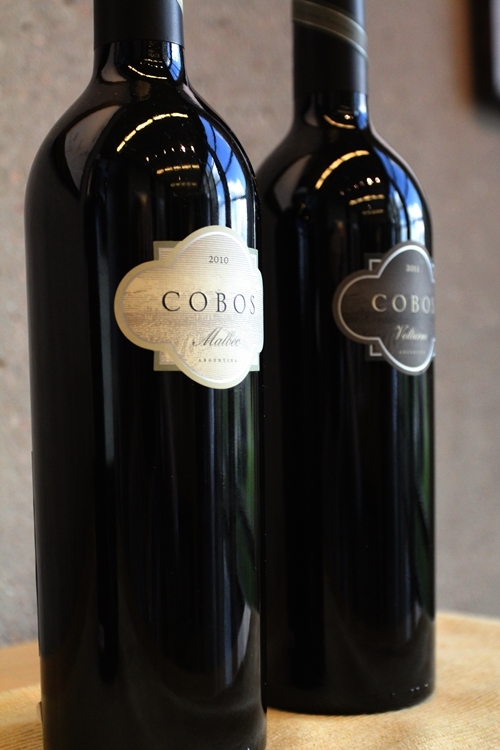 Cobos, holds their two Icon releases of Malbec and Cabernet Sauvignon. They are only produced in exceptional vintages, and are made from the best and oldest vines in their Marchiori Vineyard. The growing fame of the Marchiori Vineyard is celebrated with a very limited vertical collection (using 6 of the greatest vintages) of their Bramare single vineyard Malbec. Delivered in an exquisite and very unique crate. The Bramare wines are truly original and fascinatingly peculiar. 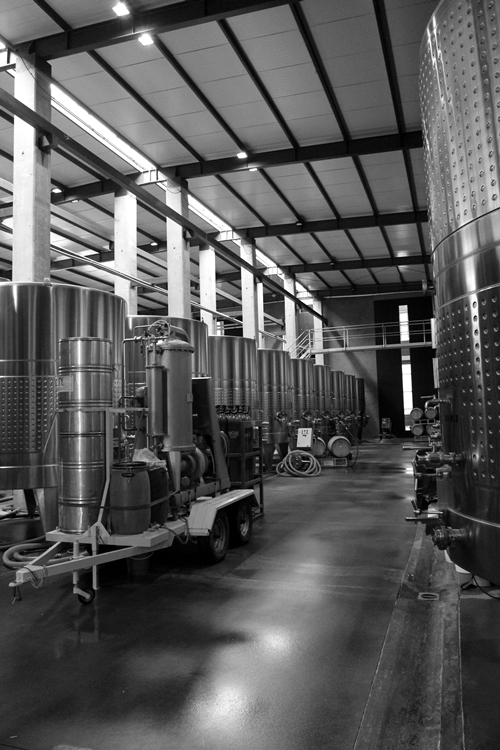 They enjoy a complex ageing process over 18 months, using both American and French oak (where 37% to 70% of the barrels are new, depending on the variety and vineyard-site). Fruit goes through a cold soak (4-6 days) in a maceration of approx 30 days. They use native yeast in the fermentation. 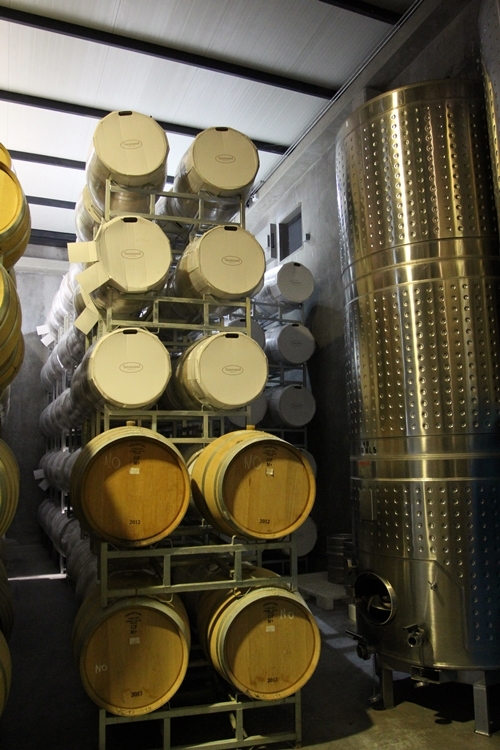 It is first fermented in steel tanks and goes afterwards through a secondary fermentation on the barrel. All the wines are moreover unfined and unfiltered. The most refined in the Bramare range, are the Cabernet and Malbec releases in the vineyard designated series from their Marchiori Vineyard. Even though the fruit of these two also comes from the Marchiori Vineyard, they are still very different from the Cobos Icons. Their yields might be even lower than they are for the Cobos range, yet the vines are considerably younger, and the processing of the harvested fruit is also dissimilar. The Cobos range shows the pinnacle of what the oldest vines in their Marchiori Vineyard can produce. The range has become a collector’s item with a price-tag that can shock some, as they are released in low quantities and only from exceptional years. They are for the same reason usually not poured in their tasting room. The yields are naturally low and the barrel ageing more “classical”, using only French Oak barrels. Both spend between 18-22 months on mainly new French oak. Cobos Malbec is made of solely Malbec, and the Cobos Volturno is a changing blend of 60%-80% Cabernet Sauvignon and 20%-40% Malbec, depending on the vintage. Volturno is named after Andrea’s father, Nico Volturno Marchiori. The Cobos range have enjoyed some of the highest scores given to a wine from Argentina, with ratings of 98+ points from RP. 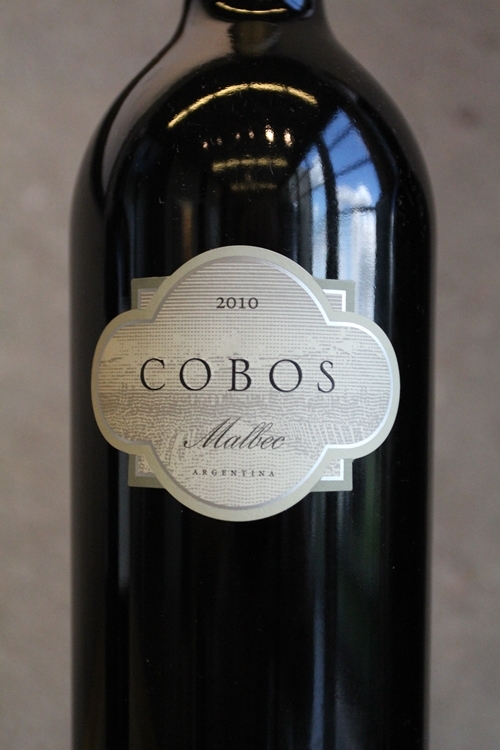 The 2006 vintage of their Cobos Malbec has even scored an astounding 98-100 point rating by Robert Parker. I have been fortunate enough to sample two of the highest scoring vintages of their Cobos range from 2005 and 2006, in a tasting against some of the world’s greatest wines, which included releases from Sassicaia, Guigal and Château Margaux. The Cobos wines are among the most concentrated wines, I have sampled to date, with an extraordinary clean and forward palate. They were very dense, creamy and in perfect balance. The ageing and the blend of the two, seem to be changing. Where they used to use a small percentage of 2nd fills, they have only used new barrels for the most recent vintages, and now age the wines over a shorter period. In addition is the Volturno blend now made using a higher percentage of Cabernet Sauvignon, as Hobbs strives to produce a Cabernet from Mendoza that can compete with the very best in Napa, but only when he thinks the fruit is ready.